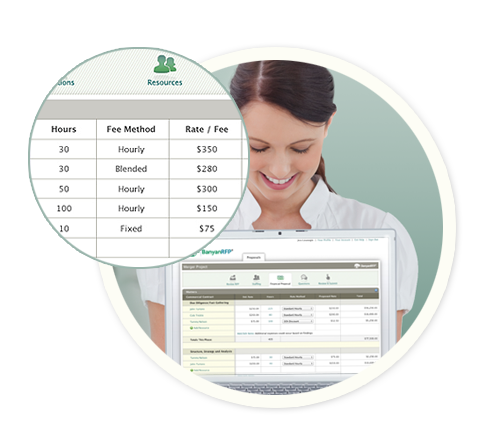 BanyanRFP makes creating RFPs easy. The RFP generator guides you step-by-step to define your engagement. Law firm responses are all formatted the same, notably reducing your review time. 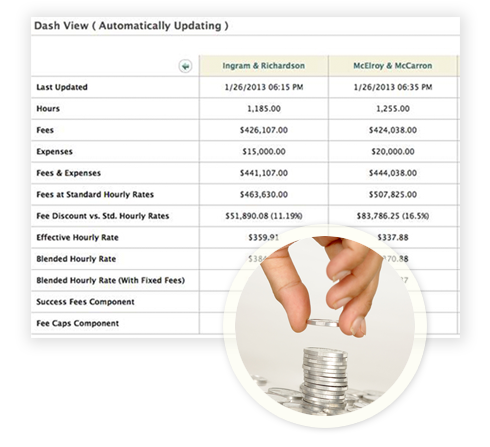 Key financial metrics are calculated for you automatically. You receive apples-to-apples comparisons in a dashboard or in more detailed reports. BanyanRFP drives lower rates. It gives law firms anonymous pricing discovery of competitive proposals. With all the offers in plain view, firms are inspired to go back to the drawing board and sharpen their pencils. More often than not, better offers appear in second and subsequent rounds. BanyanRFP puts you in complete control. Frame RFP instructions to fit your needs. Invite whatever law firms you desire–your RFP is always a private process. Eliminate participants whenever you want. Edit dashboard metrics at any time. 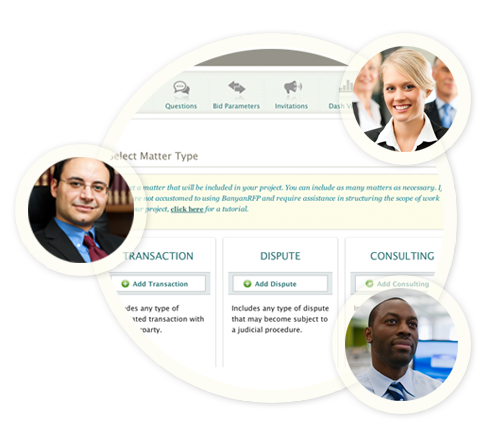 Share dashboard with law firms to offer anonymous pricing discovery. Lets law firms propose any type or combination of fee arrangements. When your RFP is complete, you engage the law firm you want or none at all.